Throughout the year, during typical classroom interactions, Ms. Jones has exposed children to vocabulary for describing and comparing attributes (e.g., “It’s cold today, so I wore my heavy coat”). Ms. Jones decides to plan a lesson targeting a benchmark about attributes. She and Ms. Hernández plan to use materials in the classroom shoe store to facilitate children’s use of words to describe and compare attributes such as length, height, weight, capacity, and size. To introduce children to the idea of discussing attributes in the classroom shoe store, Ms. Jones presents a variety of objects relevant to the shoe store over several days during large-group time. To model vocabulary that describes and compares length, Ms. Jones presents the foot-measuring device to measure her foot and children’s feet. Ms. Jones also introduces the concept of measuring feet using some nonstandard measuring devices (e. g., “My shoe is 10 Unifix cubes long”). To model vocabulary that describes and compares weight, Ms. Jones uses the balance scale to measure and describe the weights of various shoes. 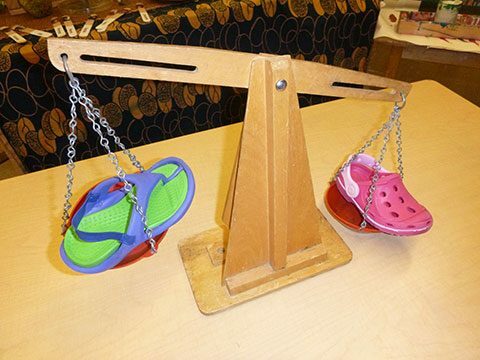 Ms. Jones weighs some shoes against each other (e.g., “This boot is heavier than this slipper”) and some shoes against other objects (e.g., “This sandal weighs more than 10 Unifix cubes”). To model vocabulary that describes and compares capacity, Ms. Jones sets up a shoe rack and fills it with shoes as she describes capacity (e.g., “This row holds three pairs of boots” and “This row holds five pairs of slippers”). 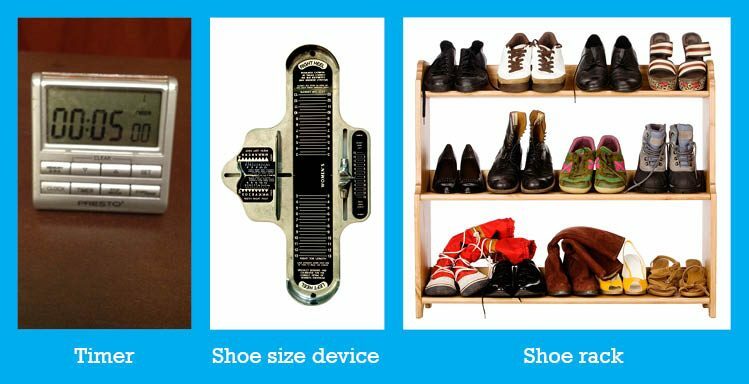 To model vocabulary that describes and compares size, Ms. Jones presents a variety of shoes and describes them with adjectives that indicate size (e.g., “This shoe is very small. It is for a baby.”). Ms. Jones dismisses the children to centers. She encourages the children to talk to one another about length, height, weight, capacity, and size during center time. modeling descriptive language (e.g., “This shoe rack is full! We need to get another one to hold more shoes!”). asking questions to facilitate children’s comprehension of attribute words (e.g., “Can you find me a heavy shoe?”). asking questions to facilitate children’s expression of attribute words (e.g., “Can you describe these shoes for me?”). Children continually have opportunities to comprehend and express adjectives that describe shoes and other objects in the classroom shoe store. Ms. Jones uses anecdotal records to record relevant vocabulary words (those describing attributes) as children use them. Ms. Jones and Ms. Hernández also use photographs to document children’s understanding of shoes’ attributes (e.g., a picture of a child identifying the largest shoe in the store). Ms. Jones facilitates children’s use of descriptive and comparative words during other parts of the day. She creates multiple opportunities for children to practice using new words (e.g., “What is the largest animal on our poster?” or “What’s the heaviest rock we have in the science center?” or “Describe your shoes. Are they heavy or light? Are they big or small?”). This lesson was written in the context of Ms. Jones’ preschool classroom. We now offer some general suggestions for adaptations that you can use in your own classroom. 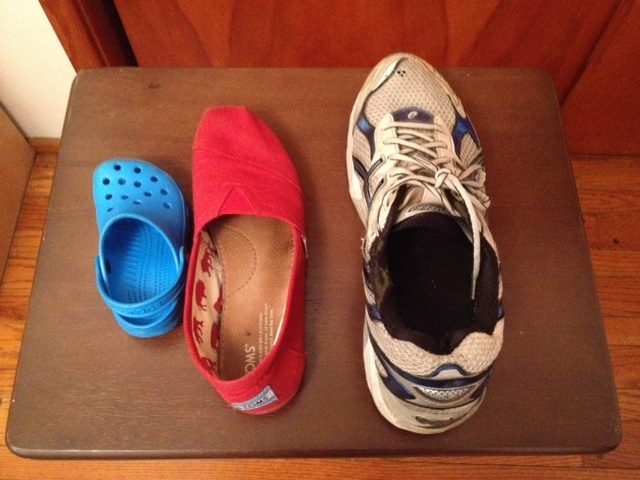 Child can compare extreme differences in size (e.g., recognizes that a size 10 shoe is larger than a size 1 shoe) but has difficulty comparing more subtle differences in size. When working on attribute vocabulary, the teacher limits this child’s choices to two or three shoes with obvious differences (e.g., a very large and a very small shoe, a very heavy shoe and a very light shoe). The teacher asks the child questions that he can answer successfully (e.g., “Which is the largest shoe?” or “Hand me the heaviest shoe”). As the school year continues, the teacher gradually introduces materials with more subtle differences in attributes. Child speaks Spanish at home and can describe and compare attributes of objects in Spanish but knows only basic adjectives such as “big” or “small” in English. 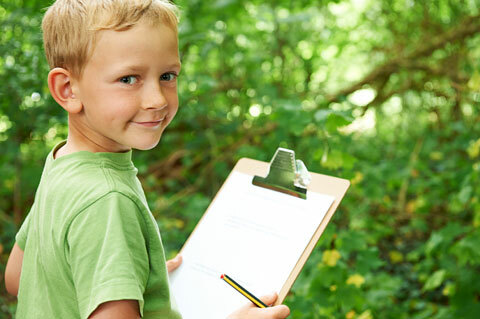 When presented with several objects, the child does not yet use English vocabulary to compare them. In the classroom shoe store, the teacher encourages the child to use Spanish to describe shoes. The teacher also uses English to model comparative adjectives to this child (e.g. “This shoe is the biggest. It is really big! It is bigger than all the other shoes, so it is the biggest.”). Child uses a wheelchair and has no use of her left hand but some use of her right hand. Teacher ensures that the shoe store is accessible to this child when she is in her wheelchair. The teacher clears the floor of materials so the child can enter the dramatic play area, places shoes on shelves at an ideal height for the child to reach them with her right hand, and designs the center with ample room for multiple children to play and interact together, realizing that this child may need extra space to maneuver her wheelchair. AAC device option: Teacher programs the child’s AAC device with pairs of opposite adjectives (e.g., big/small, heavy/light) so the child can respond to teacher prompts such as “Describe this shoe.” Teacher encourages the child to participate in group discussion using his AAC device. Low-tech option: Teacher creates a laminated card with 10 icons and words. It contains five pairs of opposite adjectives—two contrasting words for each attribute (long/short, tall/short, heavy/light, many/few, big/small). 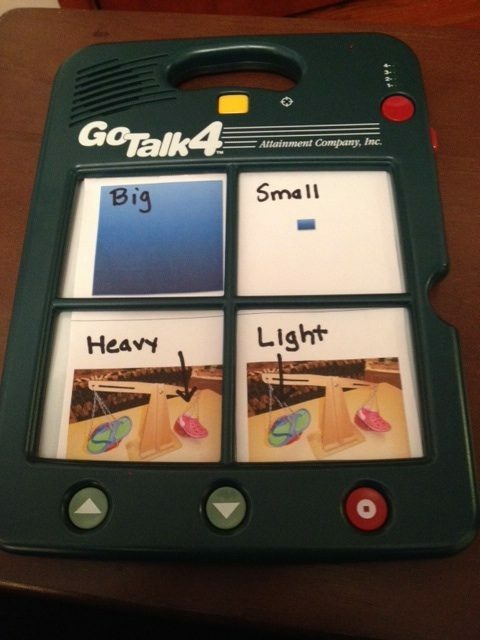 The child requiring communication support can point to the icons on the card to participate in the conversation. Other children in the group can use the card as a visual prompt as they learn to describe objects according to attributes. Child very much enjoys playing with the cash register in the classroom shoe store, to the point that he has difficulty ending this activity. He does not respond to the teacher’s request for him to use different materials in the shoe store or to leave the shoe store when center time ends. The teacher creates a social story of the child playing appropriately and taking turns with the cash register in the shoe store and reads this story to the child before center time begins. The teacher places a timer near the cash register. When child begins to play with the cash register, she sets it for five minutes. With one minute remaining, the teacher uses a visual choice card to help the child choose which item in the shoe store he will use next.